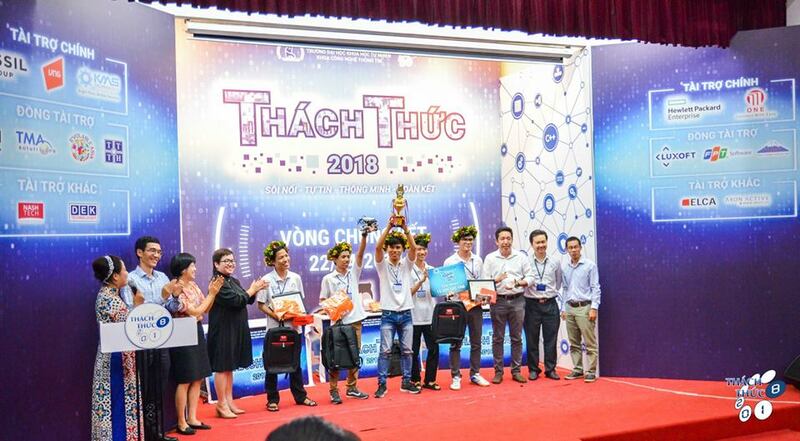 “Challenge” is an academic competition in Information Technology held annually at the Ho Chi Minh City University of Science in Vietnam. 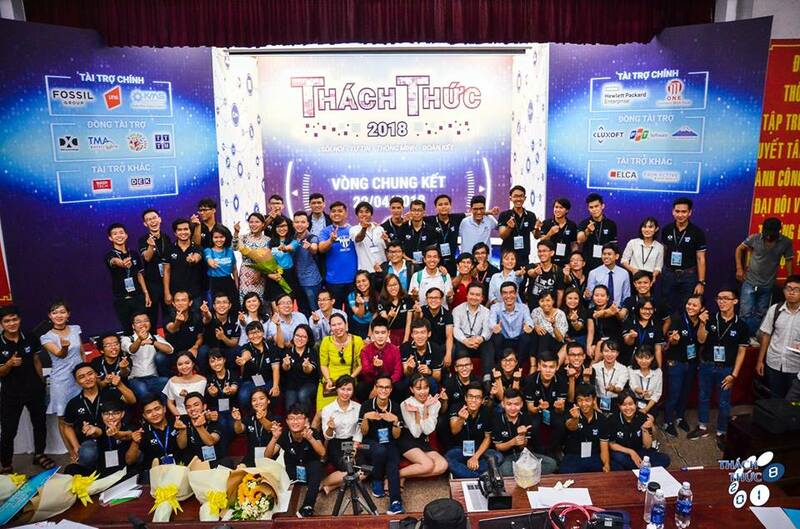 Each year, the competition attracts more than 800 students from all the universities and colleges related to Information Technology in Ho Chi Minh City. In the academic year 2017-18, Nguyen Phuoc Quy Quang, a student receiving the PDG scholarship, took part in the competition. 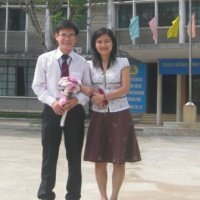 Quang is a 3rd year student in the bachelor talent programme in Information Technology at Ho Chi Minh City University of Science. Joining the competition as the leader of the “Dream Walkers” team, Quang and his team members passed the preliminary round, officially entering in the competition with 26 other teams from different universities. During the three consecutive days of official rounds, with a smart strategy and a great team spirit, Quang’s team scored an overwhelming win and officially became the 2018 Challenge Champion. “The first thing I learned is how to be a leader. Our team became the Champion thanks to the difference which is reflected through the creative training method. All members were very hard working and complied with the strict discipline as planned. The second thing I learned is communication, the ability to communicate with people. We learned a lot from other former champions and the ability to coordinate things in and outside the team group. In addition, I learned how to sacrifice; everything in this life is under the law of yin and yang, the balance of yin and yang will enable new lives to flourish. Just like the Challenge Competition, we devoted our time to practise, followed a strict training timeline, and skipped some assignments at university to make sure that there would be no factor of luck to defeat our team at the competition. My ability to set goals, make plans, divide up work and manage my time all improved. In my group, I learned the word ‘ trust’ for team members. On stage, I learned how to overcome pressure, increase my self-confidence and develop my public speaking skills. This entry was posted in News, Scholarships News. Bookmark the permalink.